With 70 percent of the U.S. population using smartphones, the mobile mind shift is underway, and consumers' expectations for brands on mobile are on the rise. The challenge is in assessing your current mobile capacity and making the appropriate updates. But how exactly can you get the critical feedback that allows you to improve and innovate your mobile presence? Let’s start with where you won’t get critical feedback from: traditional focus groups. If you want your app to set the trend for tomorrow, why rely on market research approaches of the past? In particular, the day of the focus group is probably over. They typically take too long, can be expensive to execute and aren’t a forum for tapping into true consumer feelings. So where should you get mobile innovation ideas? We have two suggestions. The first is social and the second is you. If your company has a growing and deepening social media presence, you have instant access to a willing modern-day focus group. 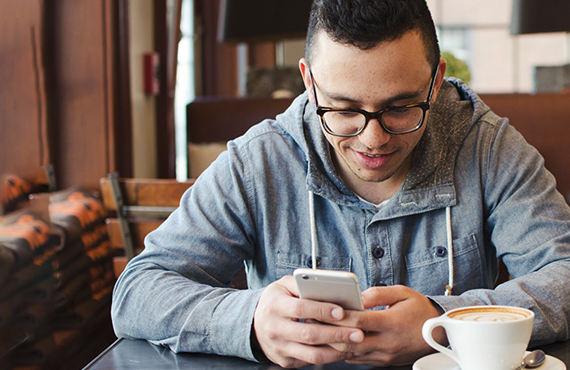 Social isn’t just turbocharged customer service, it’s an asset. You could simply ask the group questions such as, “Where can we improve the app?” and see where the conversation goes. If you have an idea you’d like to test, reach out to a handful of your highly-engaged social customers. They will be honored to be asked. Just be sure that you set expectations very clearly. You are collecting feedback; not making any promises. And what happens if you do put one of their ideas into market? First and foremost, you better reward the follower(s) accordingly. Allow them to be proud in saying, “I gave them that idea!” And it goes without saying that you need to make it easy for them to share. Beyond the intangible, consider sending them a gift certificate, discount code or special gift as a token of your appreciation. While you shouldn’t be afraid to take advantage of these willing participants, but be sure to limit your asks. This group wants to engage with you, be inspired, receive help, etc., they don’t want to just service your needs. The second approach comes right out of Steve Jobs’ playbook. If you have the right vision and are hiring the right people, you have a fair amount of “believers” on the team. Steve Jobs and his team designed the products that they wanted. You should do the same. With every update, change, innovation or creative endeavor, create a step where you and your team ask yourselves whether this is something you’d want. Poll others in your company who aren’t involved in the project and ask for honest feedback. But at the end of the day, if you wouldn’t use the app, your customers won’t either. Then, do something about it. If you determine you wouldn’t use a feature, figure out why. Or what about that feature or user interface isn’t working? Find those issues and then brainstorm whether you can make it better, fold it into another feature or delete it altogether. Finally, how do you know your approach to innovation is working? This one is simple too. Too many of us are focused on the shiny and the awards. But the only award you should care about is whether your mobile presence is satisfying—and hopefully exceeding—your customer’s financial needs today and preparing them for their financial needs of tomorrow. Monitor engagement trends and give your customers 1-3 question satisfaction surveys. In particular, ask them if they would recommend the app to their friends. If you aren’t exceeding their expectations, you have work to do. And even if you are exceeding their expectations, you still have work to do to continually foster those relationships and bring innovation to your offerings.